Born in Alloa, David Allan was a well-known artist. He began his apprenticeship at the early age of eleven, and went on to attend the drawing academy of Glasgow University. As was typical of many artists of the time, he travelled to Italy to study Italian art, and lived there for ten years. Some of his best-known works, such as the 1781 Highland Dance, exemplify Allan’s take on Neapolitan genre style, applied to Scottish manners and customs. 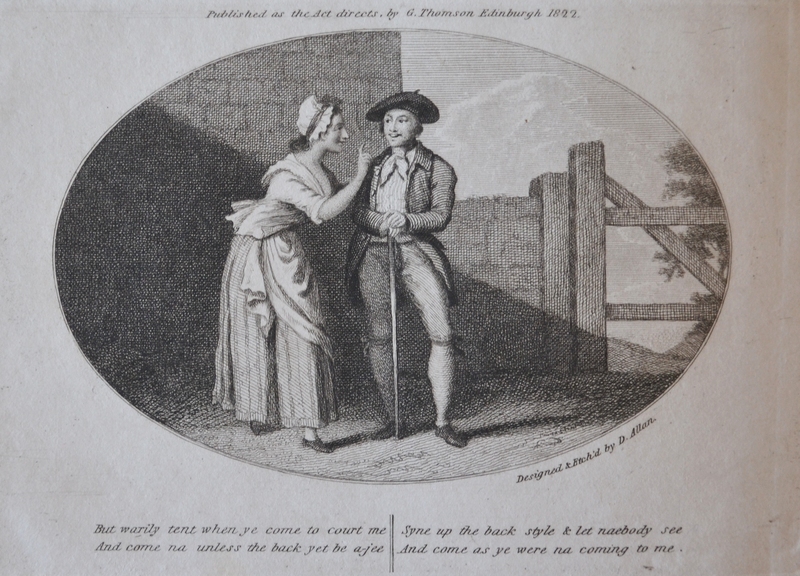 His work also relates directly to the Scottish vernacular poetry of Allan Ramsay and Robert Burns, in its characteristic way of responding to episodes of ordinary life. Allan and Burns both celebrated “the carefree life of ordinary people, unencumbered by property” (W. C. Monkhouse, rev. Duncan Macmillan, Oxford Dictionary of National Biography, s.v. ‘David Allan’). I look on myself to be a kind of brother-brush with him. – “Pride in Poets is nae sin”, & I will say it, that I look on Mr Allen & Mr Burns to be the only genuine & real Painters of Scotish Costume in the world! 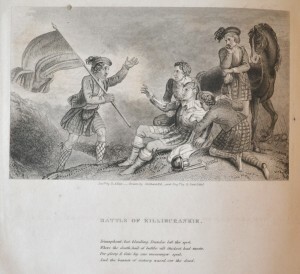 highly delighted with Mr Allan’s etchings […] The expression of the figures conformidable to the story in the ballad is absolutely faultless perfection. I look on Mr Allen’s chusing my favourite Poem for his Subject, to be one of the highest compl.nts I have ever received. an Artist who had a peculiar talent for the humorous deliniation of Scottish character and costume. 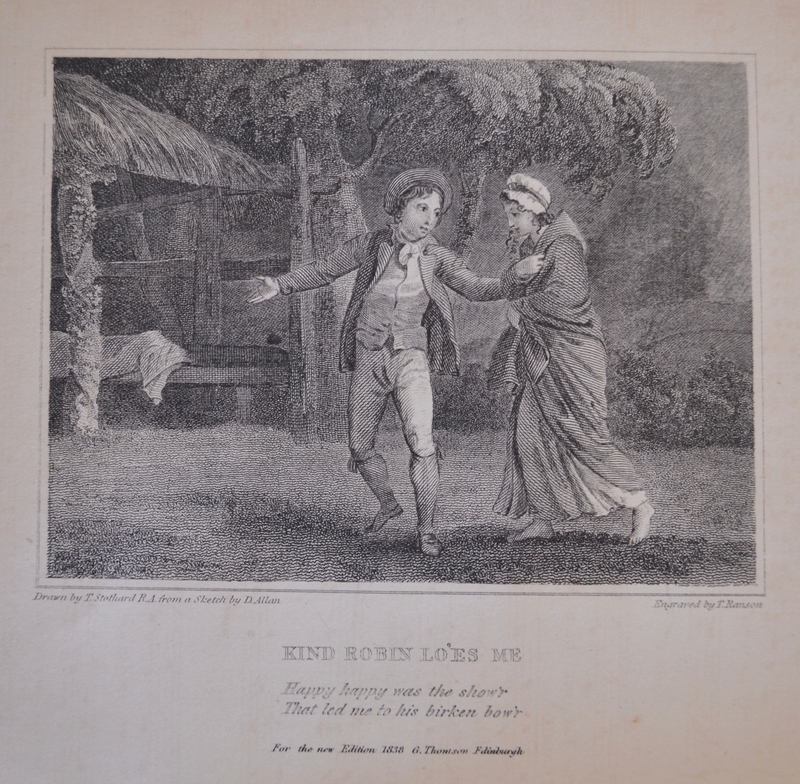 Artistically he was certainly an excellent choice for Thomson’s song illustrations; a number of illustrations were his own designs which he also engraved. Wi’ a cog of good ale & an auld Scottish sang. And come as if ye were na coming to me. 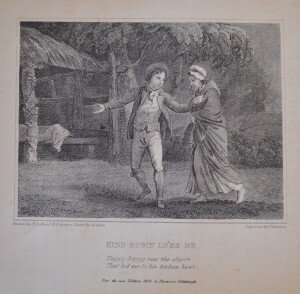 Mr. Allan has made an inimitable drawing from your John Anderson my Jo, which I am to have engraved as a frontispiece to the humorous class of songs; you will be quite charmed with it I promise you. 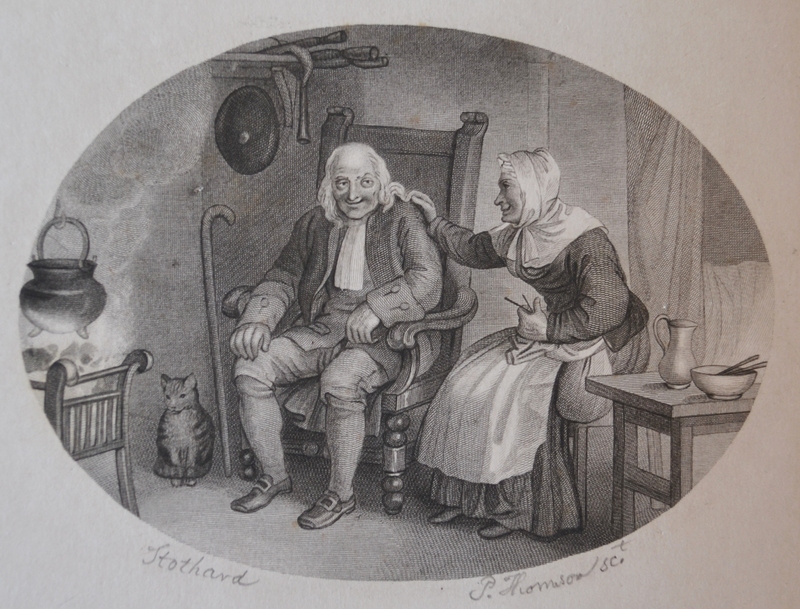 The old couple are seated by the fireside. 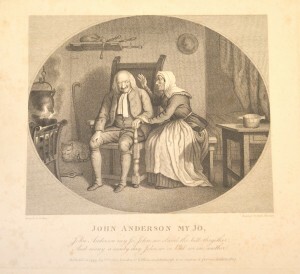 Mrs. Anderson in great good humour is clapping John’s shoulders, while he smiles and looks at her with such glee, as to shew that he fully recollects the pleasant days and nights when they were first acquent. The drawing would do honour to the pencil of Teniers. There is a definite innuendo to be read between the lines in Thomson’s words which speak to the original bawdy song on which Burns’s new ‘cleaner’ love song was based. 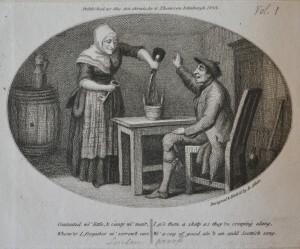 This might explain why Thomson would want to use the illustration for the “humorous class of songs”. Where the death_hail of battle all thickest had smote. And the banner of victory waved over the dead.